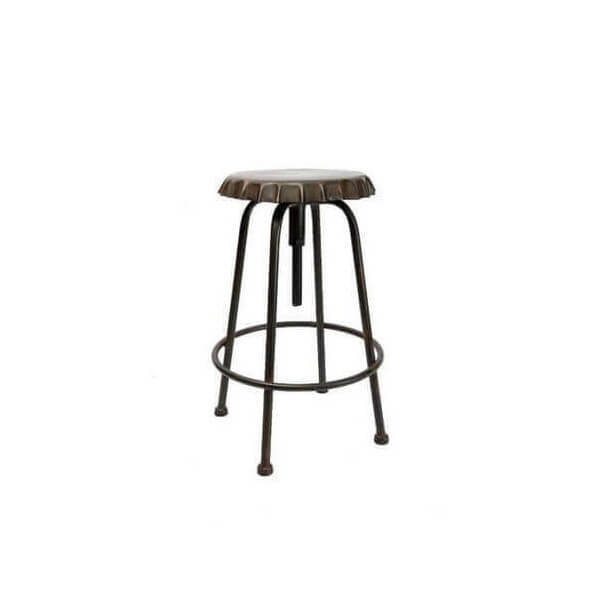 Industrial swivel stool with adjustable height . 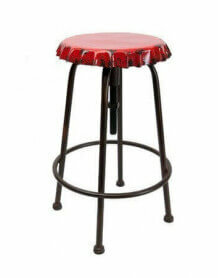 With four feet and a steel seat. 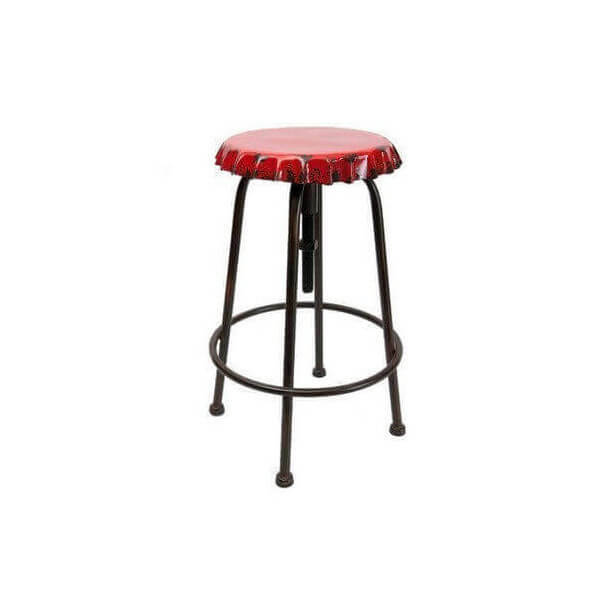 Exceptional finish and very sturdy. 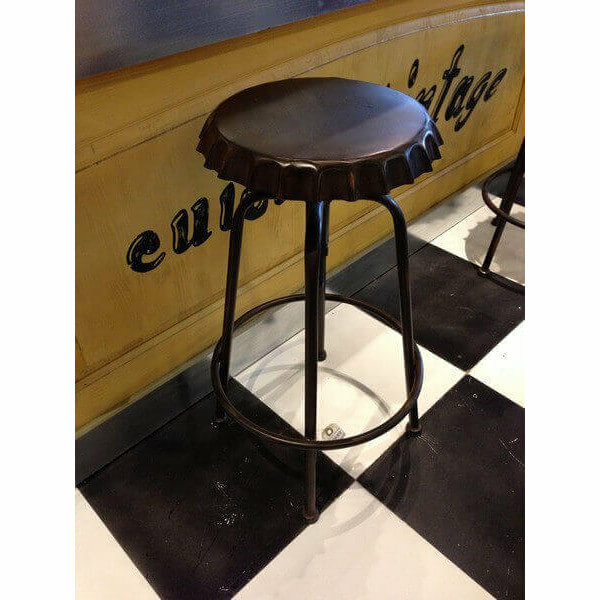 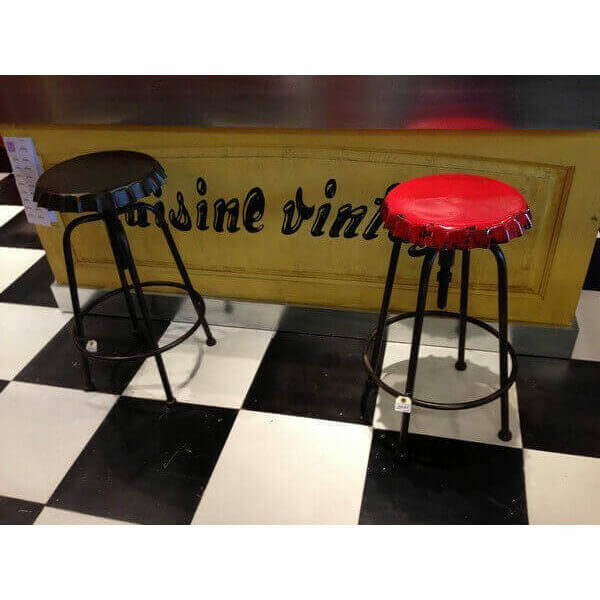 Ideal for bars, Bistro, coffee shop or American style bar. 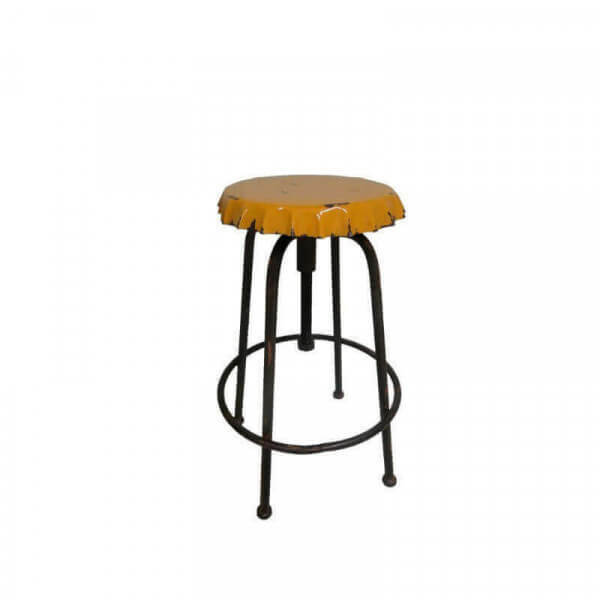 Raw metal finish or lacquered red or yellow vintage look.